As far as luxury cruises are concerned, it doesn’t get any better than a four-day cruise around one of Indonesia’s best kept secrets: the islands of Raja Ampat off the coast of West Papua. 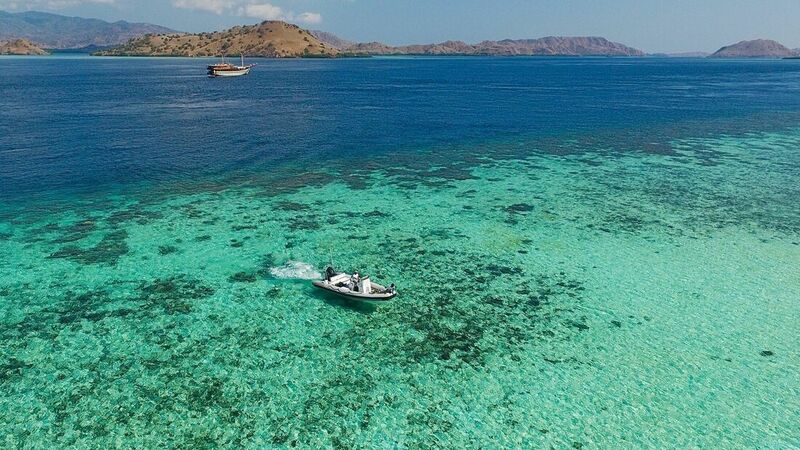 More than 1800 islands, many uninhabited, float like mushrooms out of the Ocean from Sorong all the way north to Aljuy Bay and Piaynemo. What’s under water though, is even more enticing. 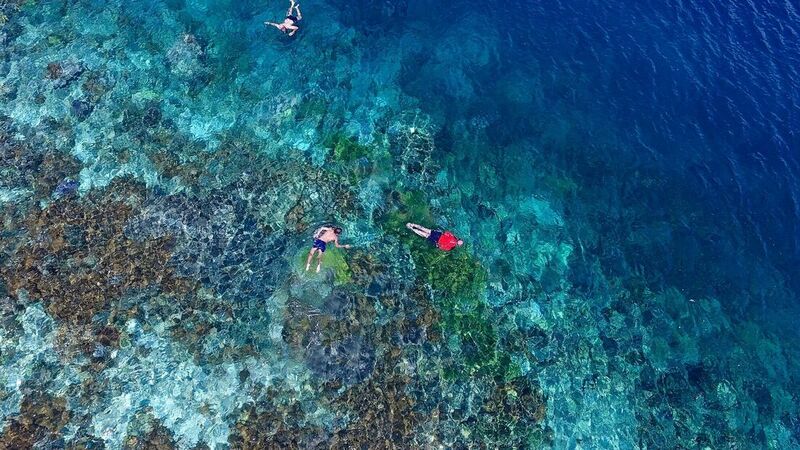 An incredible variety of maritime life and colorful reefs await scuba divers and snorkelers. Land excursions to some of the bigger islands let you meet the friendly locals in tiny villages, visit a pearl farm and climb the highest peak to admire the all over iconic panorama. 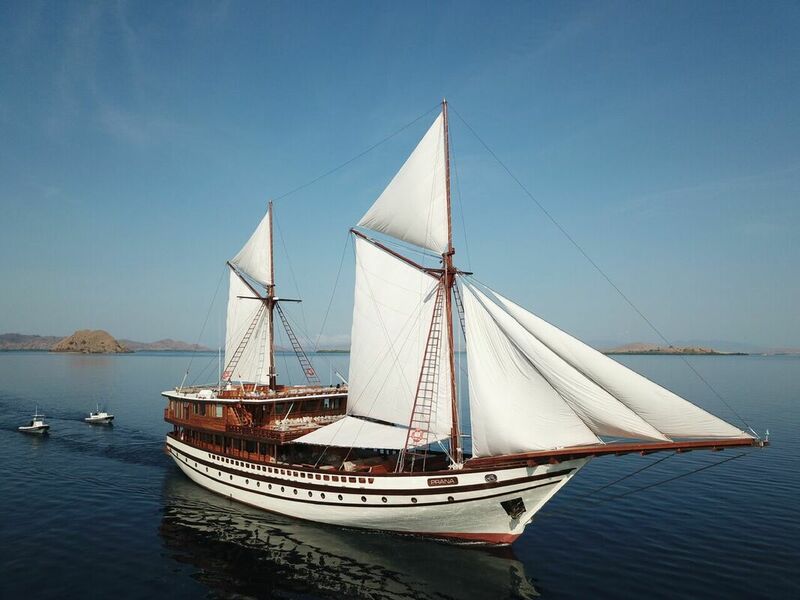 Prana by Atzaro is a luxurious Phinisi yacht, the word meaning a traditional Indonesian two mast boat. She offers nine suites which can accommodate 18 guests, four decks, a dining room, spa with massages and some beauty treatments and a sun deck .Although she is a sail boat, she travels mostly by engine because there isn’t enough wind to cover the four day program. 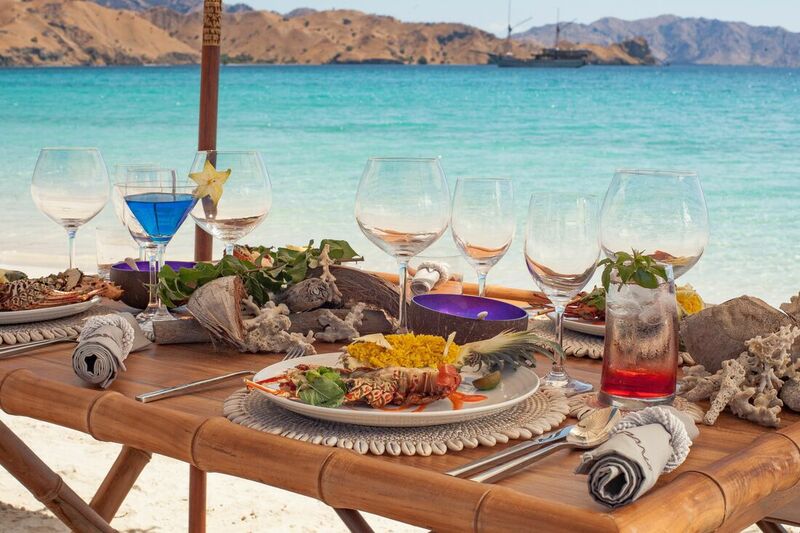 Food is prepared by a Balinese chef and caters to all tastes and culinary requirements. The Prana has two speedboats for water sport and to ferry passengers to and from the islands with a helpful crew to look after you. As this is mainly a cruise for diving and water sport enthusiasts, all equipment is available on boards, as are canoes, paddle boards and even floats in the shape of a strawberry to just drift around on for fun. 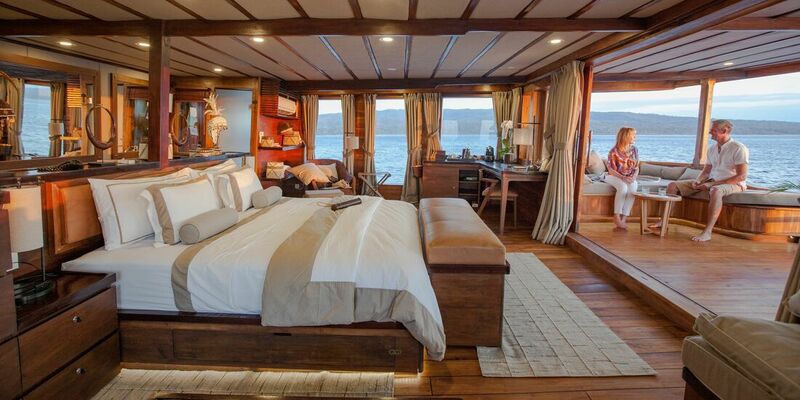 The Prana features one super suite on the upper deck with its own sundeck and sitting area. The other eight are distributed on the decks below, all with windows or portholes to admire the sea and let in daylight. Super comfortable beds, a spacious enough bathroom with rain shower and a great array of beauty products incl. suntan and after care lotions, mini bar, a tablet, safe and enough cupboards for your clothes complete the picture. There is even a TV and Wifi, but due to the location, coverage is sparse. So, enjoy a few nearly internet free days. Robes and slippers are provided as is laundry service should you need it. The spa is, by necessity, rather small, but you can have a great verity of massages either in your room or on deck. 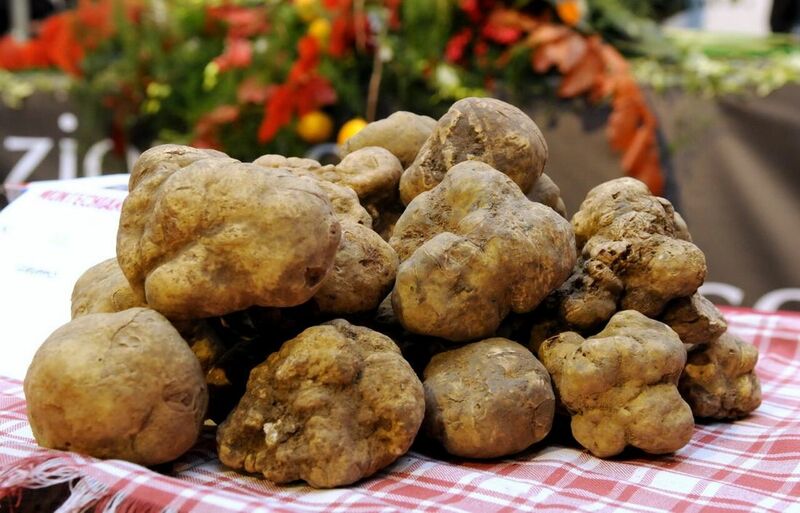 They are a special treat and most welcome after a day of diving, swimming or climbing up mountains on the islands. You can also have a manicure or facials. The emphasis is on Indonesian food with bami or nasi goring for breakfast followed by smoothies, cereals, enormous fresh fruit platters, poached eggs with salmon or bacon according to taste and much more. 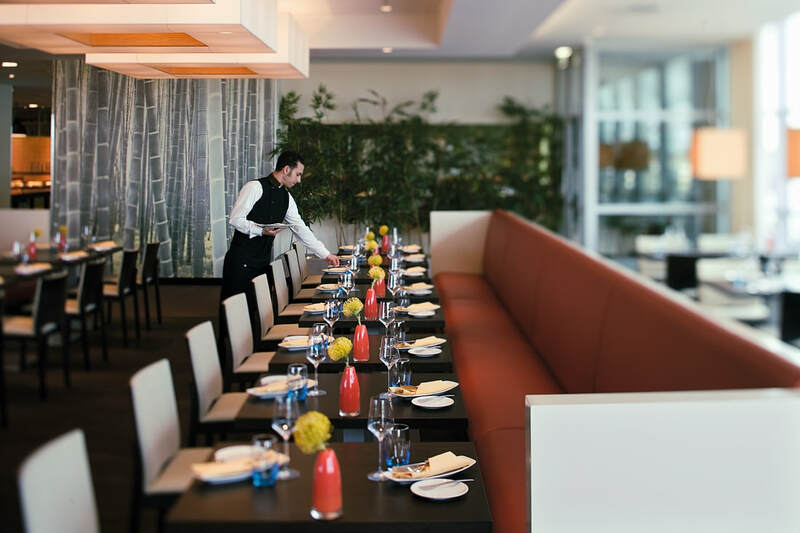 No food is wasted, as the chef asks each morning what passengers would like for lunch and dinner, giving a choice of three main courses and starters. Vegans, vegetarian and everything in between are catered for. One highlight of the cruise is a picnic and barbecue on the beach with fresh fish, lobster, grilled vegetables and steak if desired. Nothing is left behind to sully the pristine beach, everything is carried by speedboat from the vessel to the island and back. After diving and swimming, crew members welcome you back on board with a refreshing fruit drink and a hot or cold towel. In case you wonder, this is not an alcohol-free trip, beer and white wine are available, although red is rather sparse. This particular cruise starts in Sorong Habour where the cruise director and crew members pick you up and transfer you and your luggage by speed boat to the Prana. Garuda Indonesian Airlines offer flights from London to Sorong via Jakarta. Once settled in your suite, the Paran lifts anchor and sails through the night to the island of Mioskon and Saporkrem, giving you a first impression of the wonder world of Raja Ampat. On Saporkrem you have a chance to watch the mating of birds of paradise up in the trees of a mountain. You have to rise very early though, because the brids have a habit of mating only at 6am sharp for just half an hour. The speedboat takes you to the island early enough, followed by a steep climb up the mountain. After your return, a second breakfast awaits, followed by a return to visit the village, chat to the locals (with the help of a crew member) or dive and swim. The next islands visited are Wayag with Mount Pindito and a sumptuous barbecue on the beach, followed by a visit to a ranger station and watching sharks. No fear, they are rather smallish, so you can easily swim among them without losing a toe or limb. 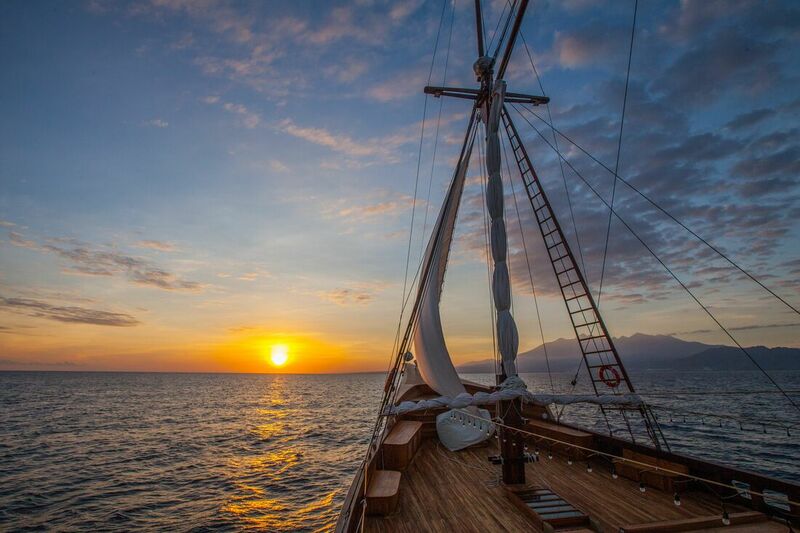 Another sail through the night to the pearl farm in Aljuy Bay where the whole process is demonstrated and where you can buy some rings or necklaces made from the beautiful South Sea Pearls. The next islands are Wofoh with another village visit to see the locals making coconut oil and Piaynemo where you have to climb 319 steps to the best viewpoint of Raja Ampat. Rest and cool your feet by swimming in a natural pool or go for another dive to explore Melissa’s Garden. Sailing through the night again, the Prana returns to Sorong where you are ferried to port and the airport. This trip is primarily for divers and water port enthusiasts but even if you don’t dive there is so much to do and see on land, you’ll never have a dull moment. Overall, it’s the perfect combination of luxury cruising with fabulous scenery and activities. Rates for a full charter 7 days Raja Ampat start at $14.000. For all details please see: https://pranabyatzaro.com/ratesandschedule. For bookings and further information please contact info@pranabyatzaro.com. Bear in mind, that Raja Ampat is –as yet – untouched by mass tourism. 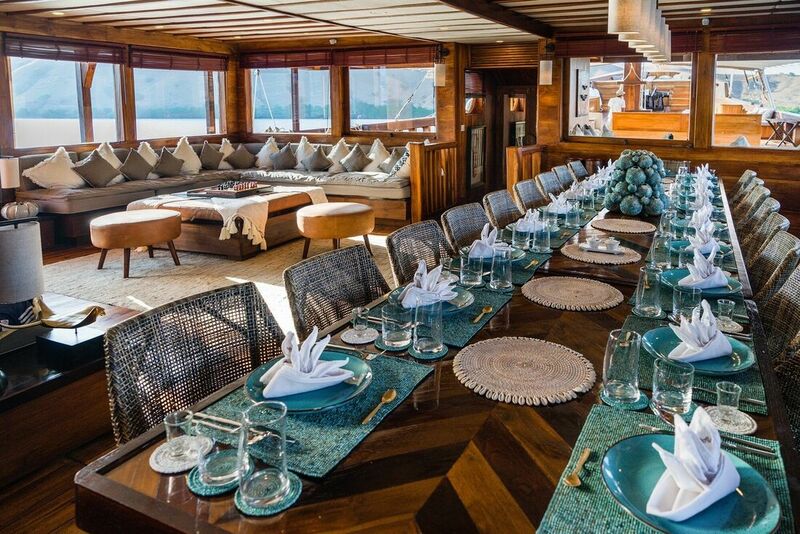 There are no hotels, resorts or restaurants on any of the islands and only a handful of yachts like the Prana sail there. 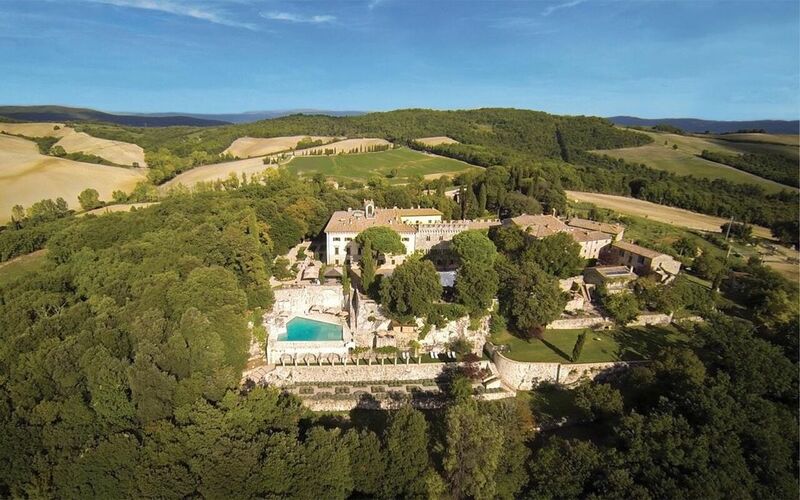 The accommodation, cruise planning and service leave nothing to be desired. If we’re being really picky, it would be nice if there were more railings to hang onto when the boat starts rolling - especially on the stairs to the upper decks. We also felt that the kitchen should be equipped with steak knives as we had difficulty cutting even duck and chicken with the knives provided, but these are small quibbles. A group of friends or a family (however, for safety reasons it’s not recommended to bring small children along). It may be expensive, but shared amongst a group, it’s more affordable and for the journey of a lifetime, it’s worth every penny. *During my visit I was hosted by the lovely team at Prana by Atzaro. All opinions are my own. Entering my room at the Anantara Al Jabal Al Akhdar in Oman, it’s the mystique of Arabian Nights that comes to mind; smooth walls are patterned with illuminations from cutwork lamps and a studded dark wood dresser is laden with fruit. On the wall by my bed hangs a huge bronze plate and I can’t help but look for a mallet with which to strike it; surely it’s actually a gong with which to summon assistance? A modern form of room service - the telephone - may be far less evocative, but it’s super efficient nonetheless, and I’m soon happily ensconced with food and a glass of wine on a chaise longue in the corner of the room, peering fruitlessly into the darkness outside. It was dark when we arrived and I’m eager to see the views from this canyon-edge resort; with that in mind, I leave the curtains flung open when I eventually throw myself on to the wide, white bed to sleep. Impatient I may have been, but it’s worth the wait because when the pale rose pink of sunrise pulls me over to the window the next morning, what lies beyond is nothing short of epic: a huge bowl of chalky limestone and jagged rock, terraced with green farming land in some parts and almost lunar in appearance in others. 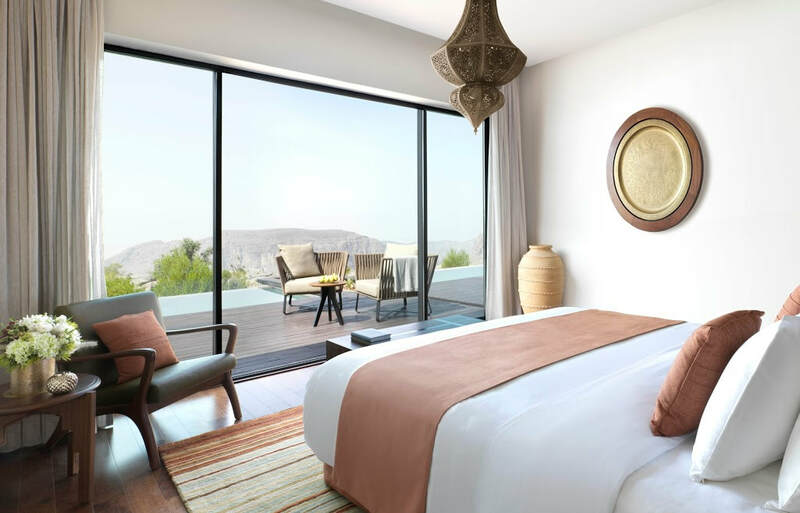 Located over 2,000m above sea level, the Anantara Al Jabal Al Akhdar is the Middle East’s highest five-star resort, in every way worthy of a princess. Sadly, for one particular princess, the resort was not here when she visited back in 1986 - and nor were the increasingly steep and winding roads on which we made our way from Muscat last night. 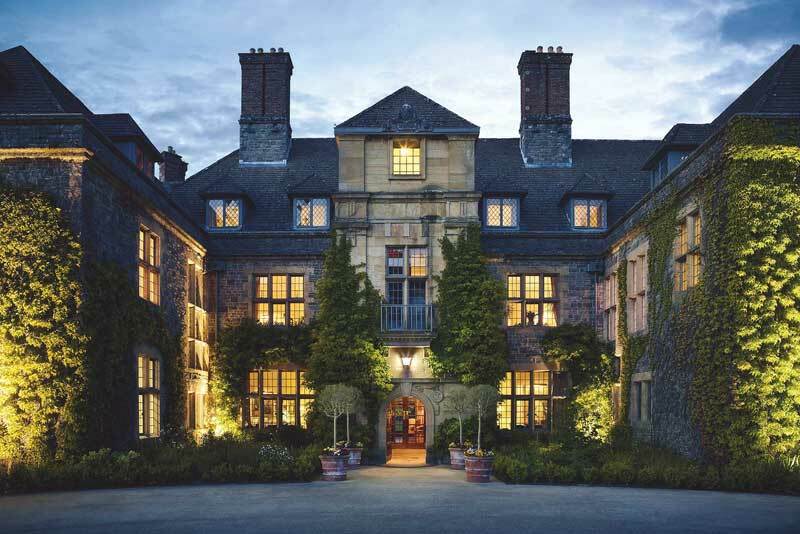 Dropped in these wild and unforgiving elements by helicopter for a six-hour sojourn with her husband Charles, Diana is immortalised in the hotel’s Diana’s Point, where a nightly throng of cocktail-drinking guests gather in front of a blazing fire drum, to take in the spectacle of sunset over the landscape, often with clouds drifting in below and all but obscuring the village at the canyon’s base. Other ways to enjoy the staggering views abound - from the cliff-edge infinity pool and hot tubs, to sunrise yoga on Diana’s Point - while those wishing to know more about the area and its history can take a guided hike around the all-but-deserted villages that cling to the inside of the canyon. ​Accompanied by an Omani local, we learn about the ancient system of irrigation - called falaj - that inhabitants have developed over millennia to combat the water shortages from which the area, despite its elevation, suffers. Following the course of one such channel from a waterfall, we pass fruit trees which, in season, are hung with pomegranates, apricots and pears, as well as the rows of bushes from which the Damask rose petals, used for making the famed Omani rosewater, are harvested in the March-May season. Used for cosmetic purposes, this intoxicatingly scented liquid, along with saffron and cardamom, also flavours the Omani coffee that we take in one of the villages; fudgy, squidgy dates are served alongside to provide the missing sugar-sweetness. Although few people now live in the villages - they have relocated to the nearby ‘New Town’ where running water, education and medical care are more readily accessible - these atmospheric doorways and laneways have by no means been abandoned, and home owners still walk the steep inclines and rugged paths to check in on their properties and tend to their crops and animals. For those who dare, the resort’s Ultimate Activity Wall offers an opportunity to immerse yourself - almost literally - in the jagged landscape of the canyon. Accompanied by a qualified guide, we are secured by way of a locked carabiner to a cable line that spans a via ferrata for some 200m along the inside wall of the canyon, our feet tiptoeing along knife edge ledges, while our sweat-dampened hands clutch at overhanging lips and metal pegs. Beneath us, the world falls away, a pale collage of ragged cloud and rugged limestone, with huge boulders poised as if in mid-fall on the lower reaches of the canyon bowl. The course ends with a series of zip wires strung across the canyon, across which we whoop and glide, our legs, freed from the pressures of finding footholds, now dangling joyfully in mid air. 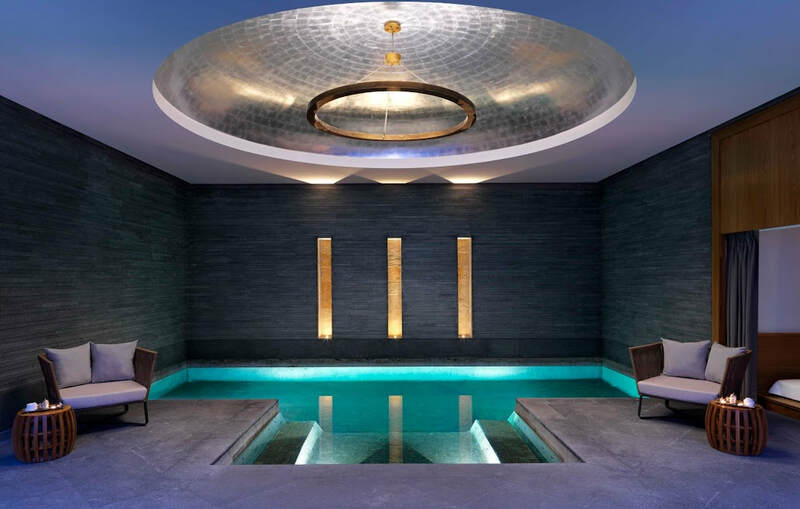 There’s only one thing that someone who has come down off the adrenaline of such an experience deserves, and that’s some quality time in the Spa, where tranquility is the order of the day from the moment you set foot within its graceful walls. Treatments incorporate local flavours and scents, with rosewater and pomegranate providing their soothing properties in a menu of rituals for face and body. 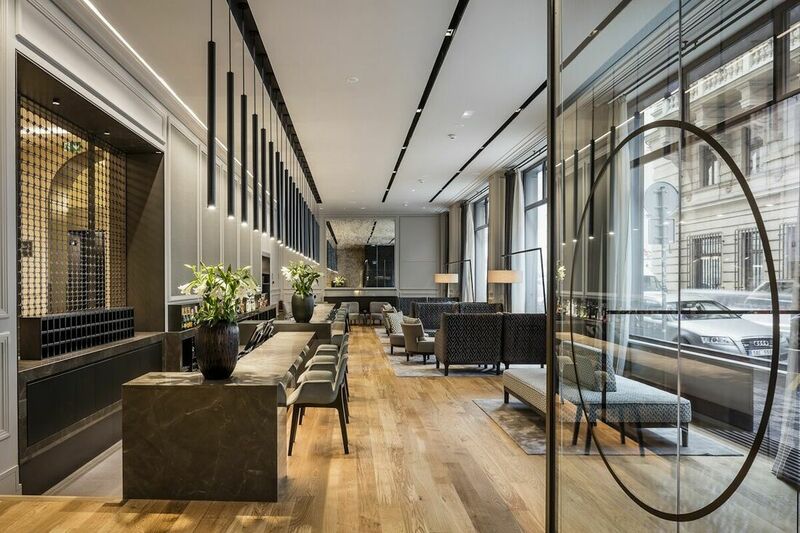 Separate suites for men and women include sauna and steam rooms, experience showers, relaxation chambers, outdoor gardens with loungers and refreshment stations at which to snack on dried fruits and nuts, whilst rehydrating with a herbal tea. As delicious as dried fruits and nuts are, beyond the spa, a world of edible delights awaits, from the daily breakfast buffet in Al Maisan (the name means ‘Amazing Star’ in Arabic) where guests can choose from an array of temptations, to the casual elegance of Bella Vista which, located by the pool with access to Diana’s Point, offers homestyle Italian cuisine - perfect carb-loading after a morning of adventure. For that genuine ‘princess in a castle’ feeling, head to the striking tower at the far end of the main building to enjoy cocktails at Al Burj, its upper level, before descending the lantern-lit staircase to Al Qalaa, which specialises in authentic Omani and Middle Eastern recipes, beautifully served in locally-crafted ceramics. 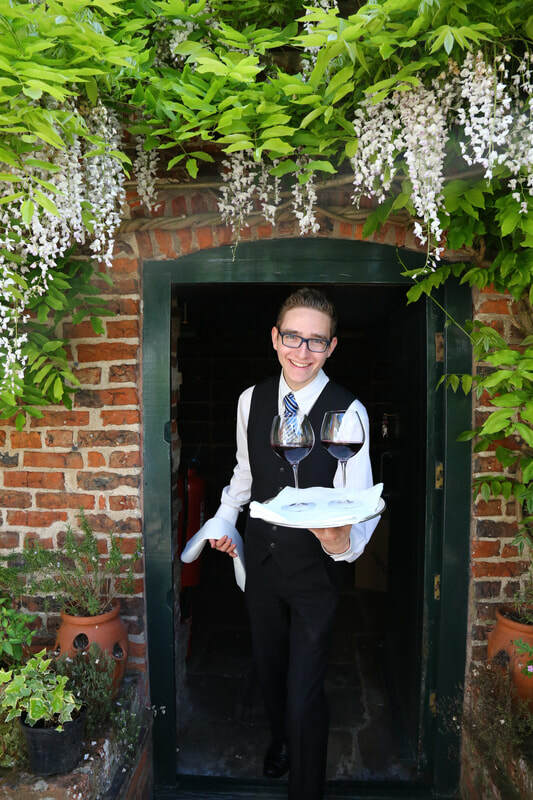 As as been the case with every Anantara I’ve ever had the pleasure of staying at, the level of service here exceeds exceptional, with genuine warmth, as well as efficiency and capability, infusing every interaction. 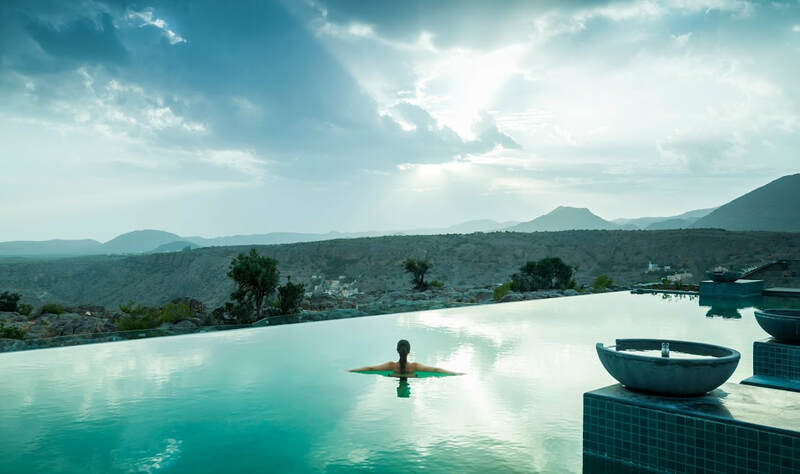 The Anantara Al Jabal Al Akhdar featured in BBC2’s ‘Amazing Hotels: Life Beyond the Lobby’ which saw Giles Coren and Monica Galetti experience its fortress-inspired walls. Coren’s blatant fear of heights meant that he wasn’t a fan of the Activity Wall, but even with that fact potentially clouding his judgement, he couldn’t fault the resort. 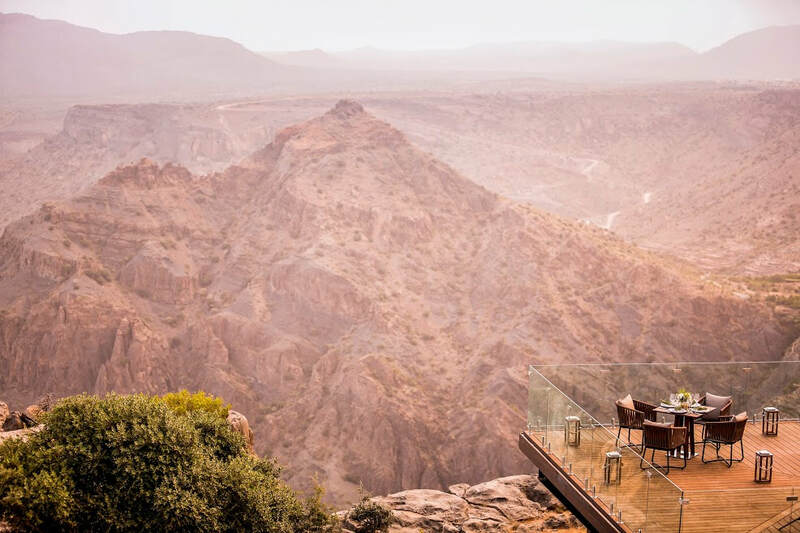 The fact that I loved the vertiginous thrill of it can surely only mean that I rate the Anantara Al Jabal Al Akhdar even more highly than he did. Worst bits: After a 7+ hour flight from the UK, a 2-hour drive to your final destination isn’t the most alluring prospect, even if it is worth it when you get there. 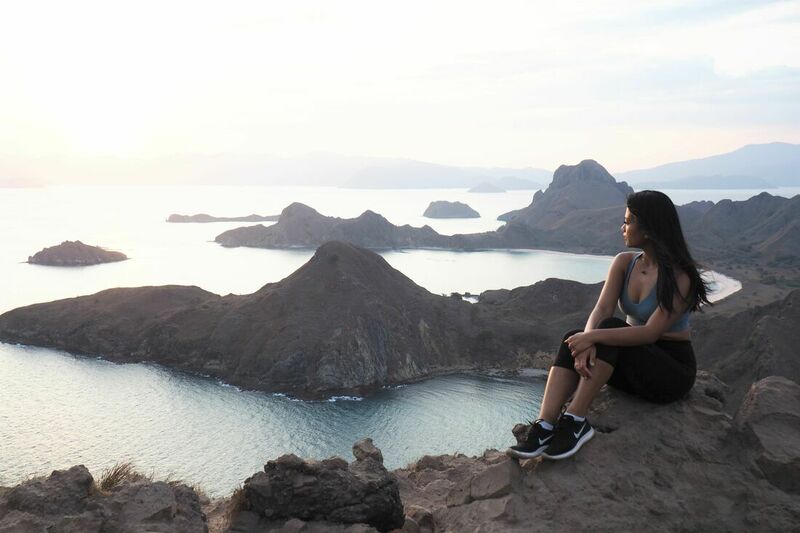 Most suited for: Those looking for a double destination holiday in Oman; a few days exploring Muscat before escaping to the mountains would fill a week or so beautifully, and more than justify the flight time. *During my stay I was hosted by the team at Anantara Al Jabal Al Akhdar . All opinions are my own. York is an area of outstanding beauty with plenty of history and stories to tell. Focused around the magnificent York Minster and surrounding cobbled old town; it's a visual feast for the eyes. After snagging a reasonable return train ticket to York early on a Friday morning, I headed to this renowned medieval city for a whirlwind visit during my stay at Middlethorpe Hall & Spa. 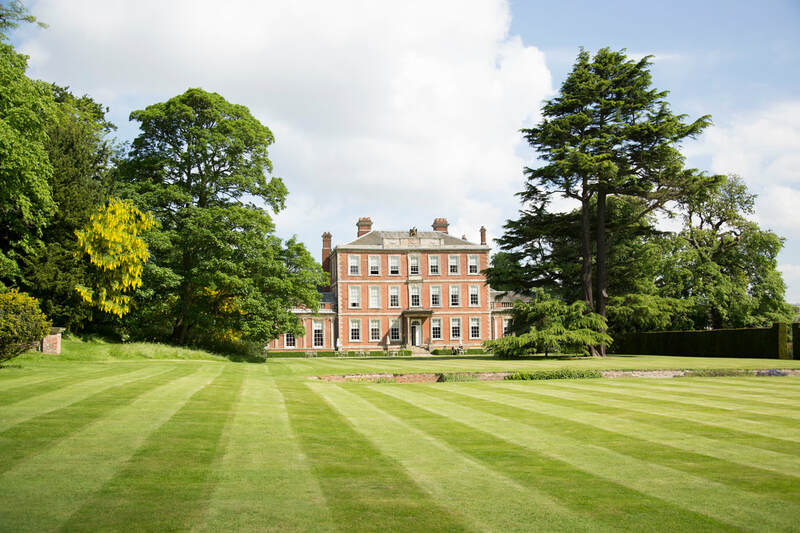 ​Middlethorpe Hall is an elegant country house located just outside the city of York, making it the perfect base for a city and country retreat. 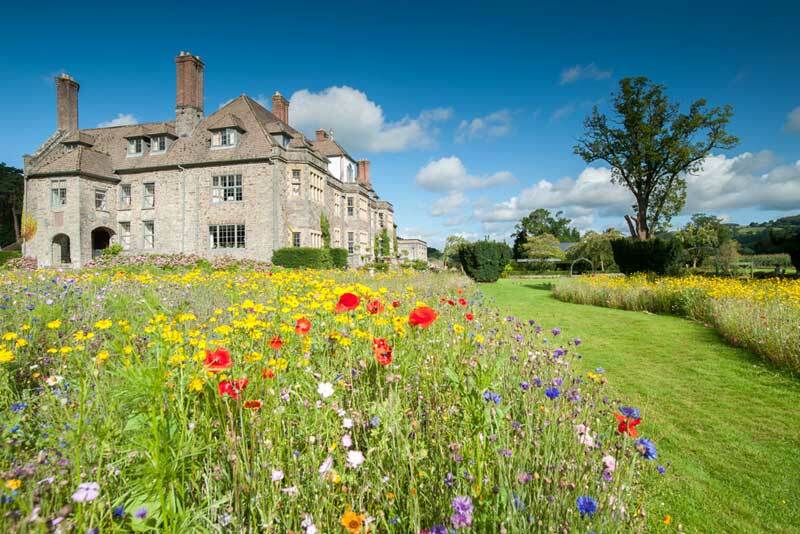 Built in 1699, this gorgeous William III country house stands in 20 acres of award-winning gardens and parkland. 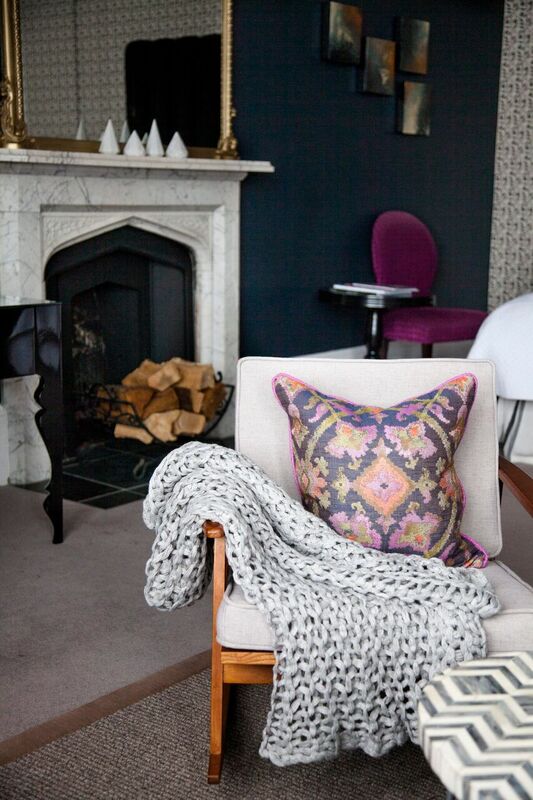 Crammed with character, it's charming but not too over-the-top posh. Formally the home of the famous 18th century diarist Lady Mary Wortley Montagu, the house has been restored and decorated in keeping with the period - think antiques, fireplaces, sumptuous carpets, gilt-framed portraits and the faint ticking of a grandfather clock, providing the perfect space to unwind while gazing out at the manicured gardens or settling in to a juicy page turner. 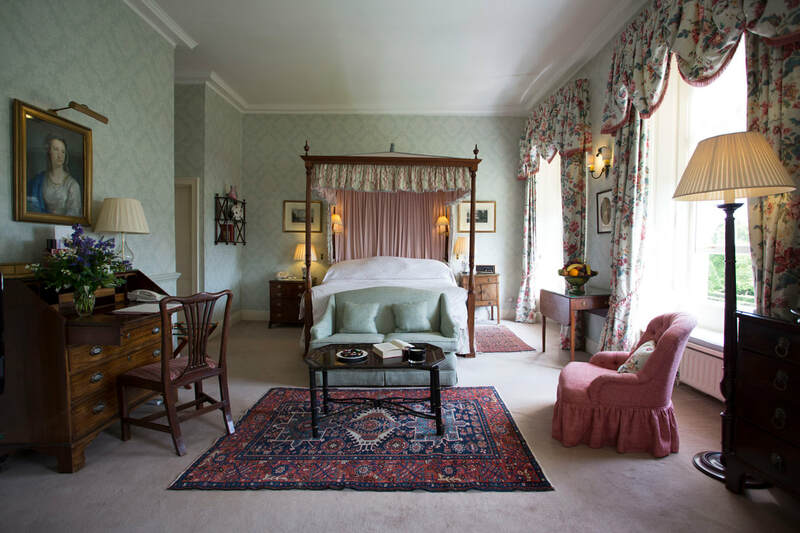 The 29 bedrooms vary from luxury and sophisticated in the main house to a selection of homely stable conversions in the attractively restored 18th century courtyard. 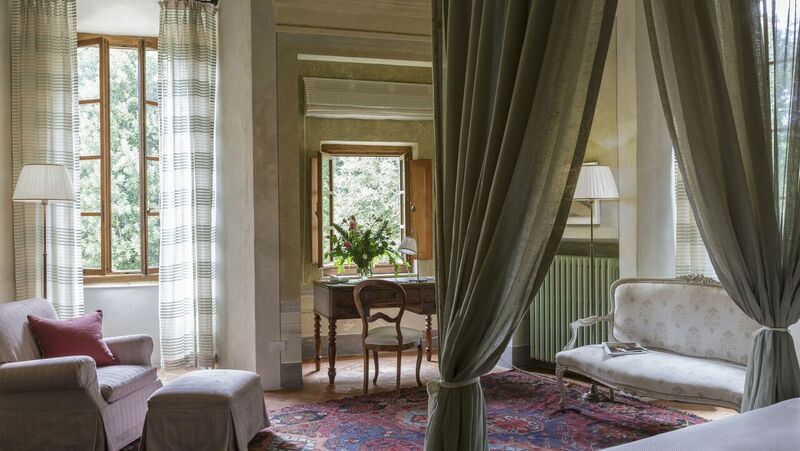 Each room comes fully equipped and individually designed to its own distinct country house story. 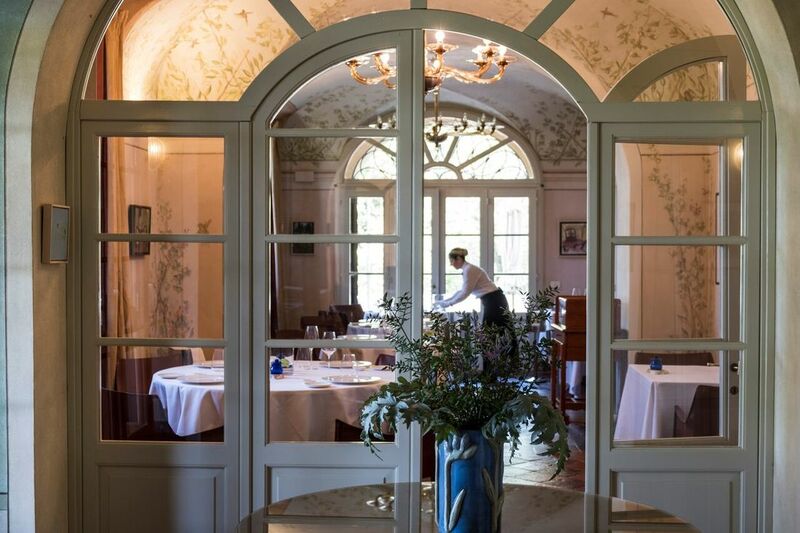 The classically paneled dining rooms with a garden view are the perfect setting to enjoy a contemporary take on traditional British food. 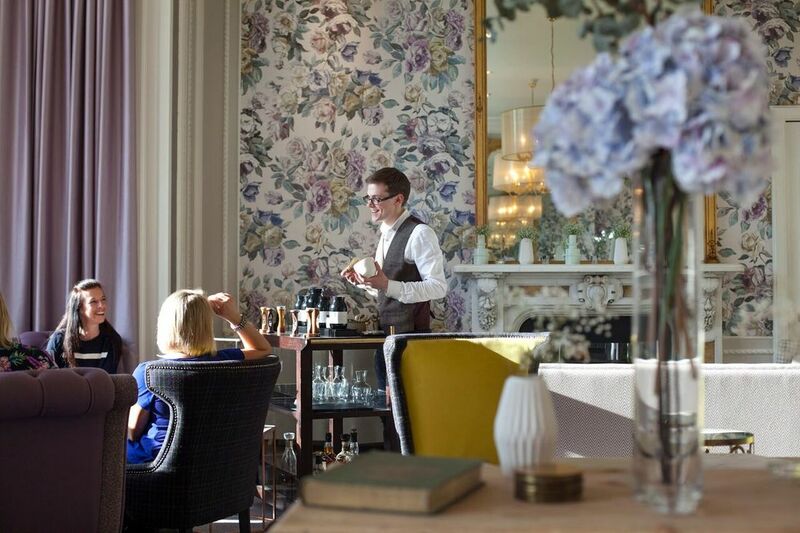 The restaurant has been twice awarded "restaurant of the year" in the Visit York Awards and retains 2 AA Rosettes. 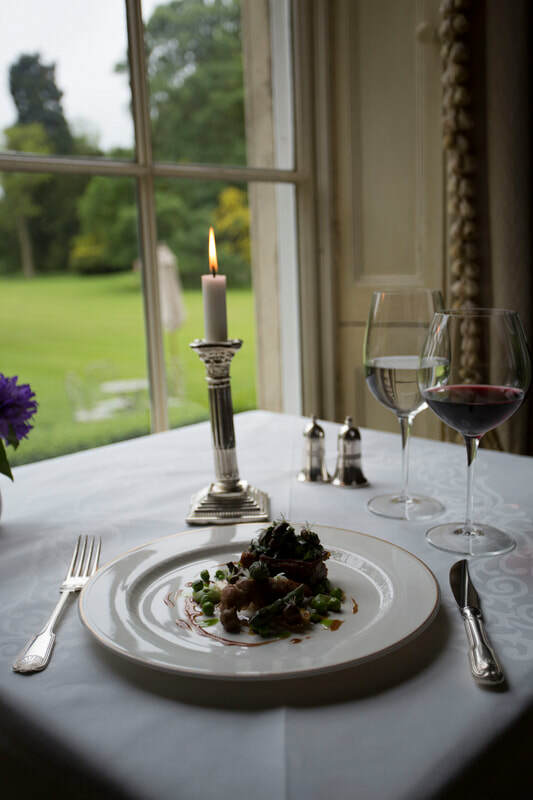 Head chef Ashley Binder and pastry chef Paul Harrison have produced superb menus, working closely with local suppliers and the hotel's gardening team to ensure the menu is fresh and seasonal. 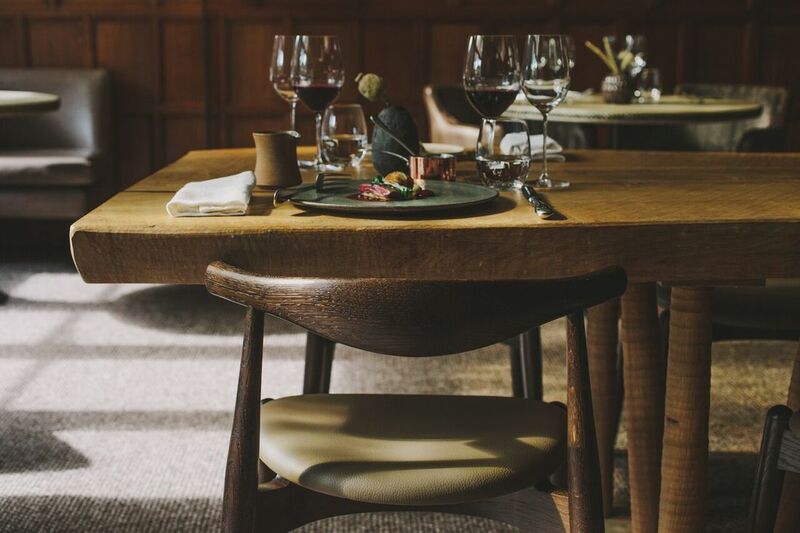 A tasting menu is available and the a la carte menu includes finely prepared dishes, from the Ham Hock Terrine with Pear Parsnip and Pancetta; to Wild Halibut with Crab Ravioli with Burnt Orange and Fennel to Yorkshire Rabbit. Dessert options of Passion Fruit Cheesecake or Chocolate and Clementine Tart round off the dining experience with a delicate sprinkling of sweet goodness. 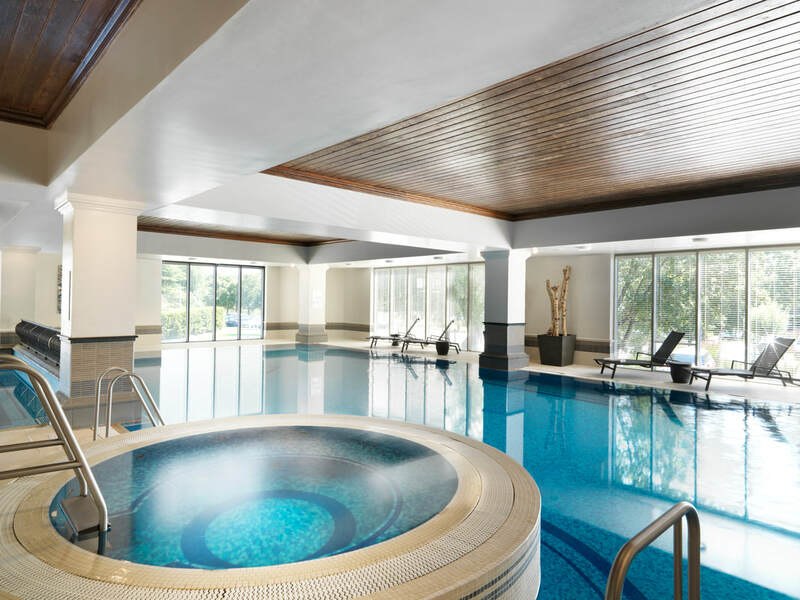 The boutique spa with its blue-tiled pool is the perfect place to relax and recharge. 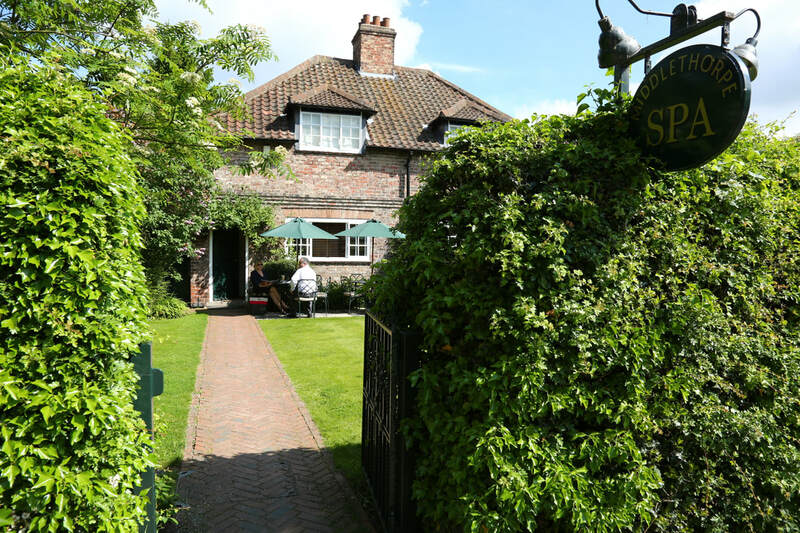 The spa sits in a cosy Edwardian cottage opposite the hotel. 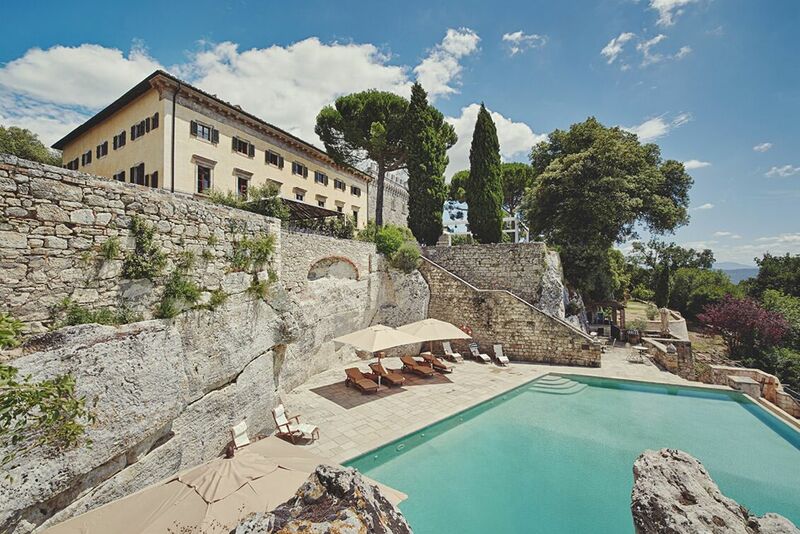 Guests can don their bath robes and slippers and step into an atmosphere of blissful relaxation and enjoy the large swimming pool, spa bath, steam room and sauna. 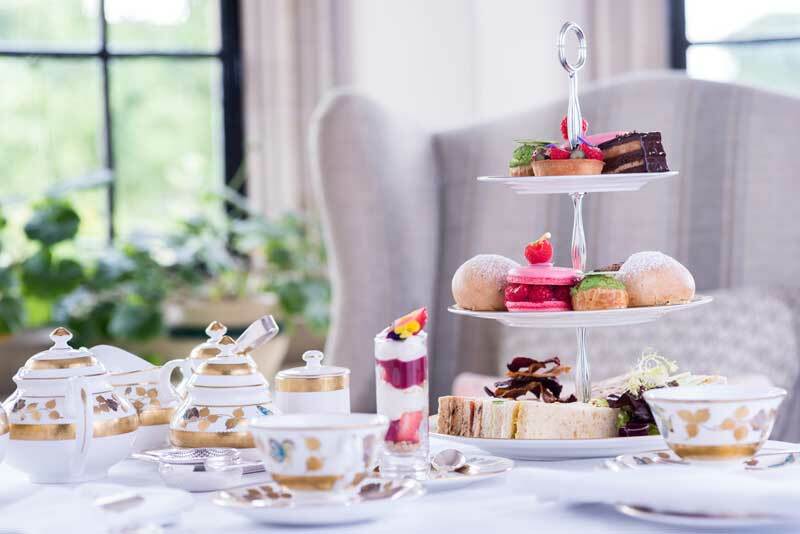 Meals and snacks are serviced in the Club Room and if it's a little nippy outside, the open fireside and a pot of steaming tea with a selection of home made biscuits should melt away any winter chills. Treatments range from facials and manicures to detox reviverss, using Aromatherapy Associates, Shellac and Jessica products. The Detox Reviver was my preferred pick, an invigorating treatment that included a body brushing, exfoliation and a full body mud mask, all of which certainly did the trick. 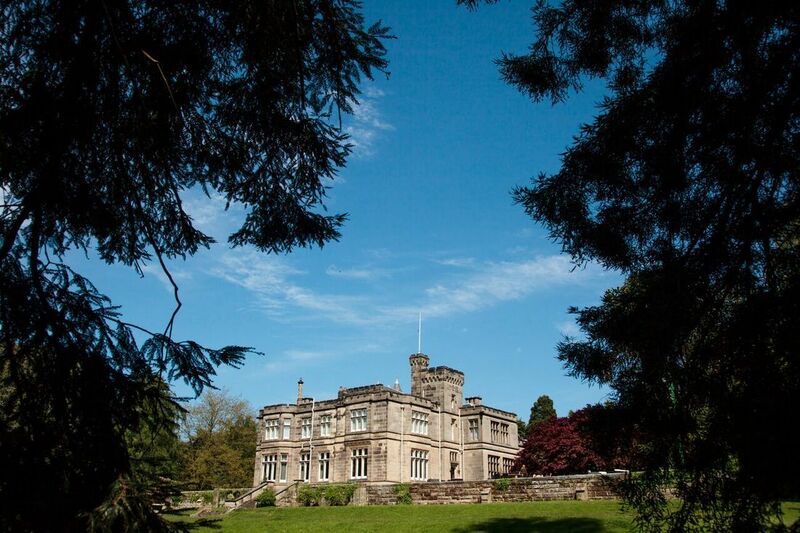 Middlethorpe Hall & Spa is a perfect destination for a relaxing weekend. 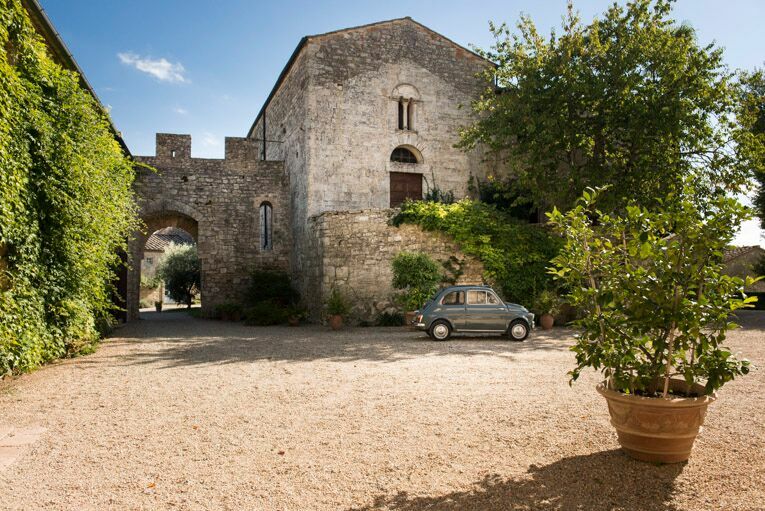 Couples can enjoy the good life with a relaxed stay, fine cuisine and a possibility of city adventure, history and culture only a taxi ride away. 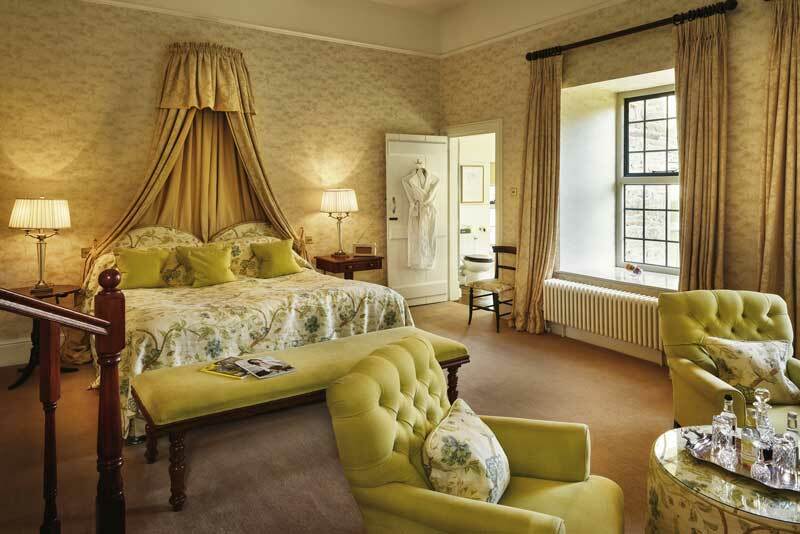 Bed and breakfast priced from £219.00 per night based on two sharing. 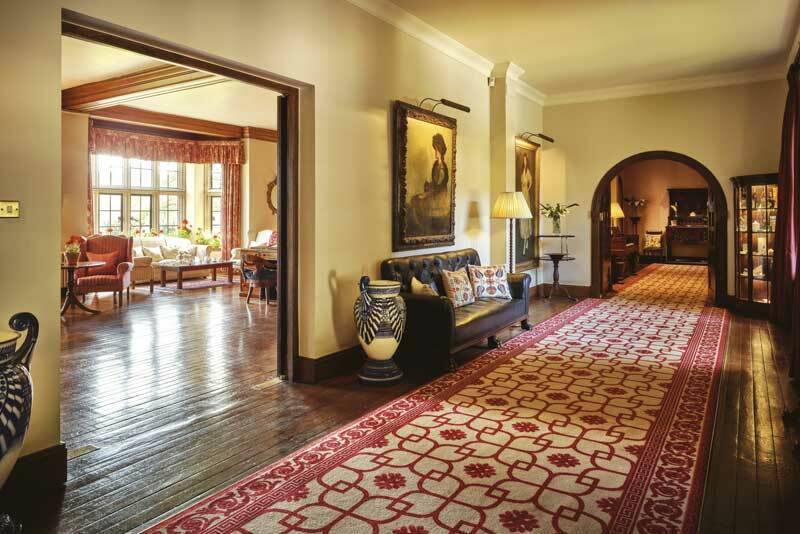 Best bits: Middlethorpe Hall & Spa is the perfect destination for a country and city wellness retreat. 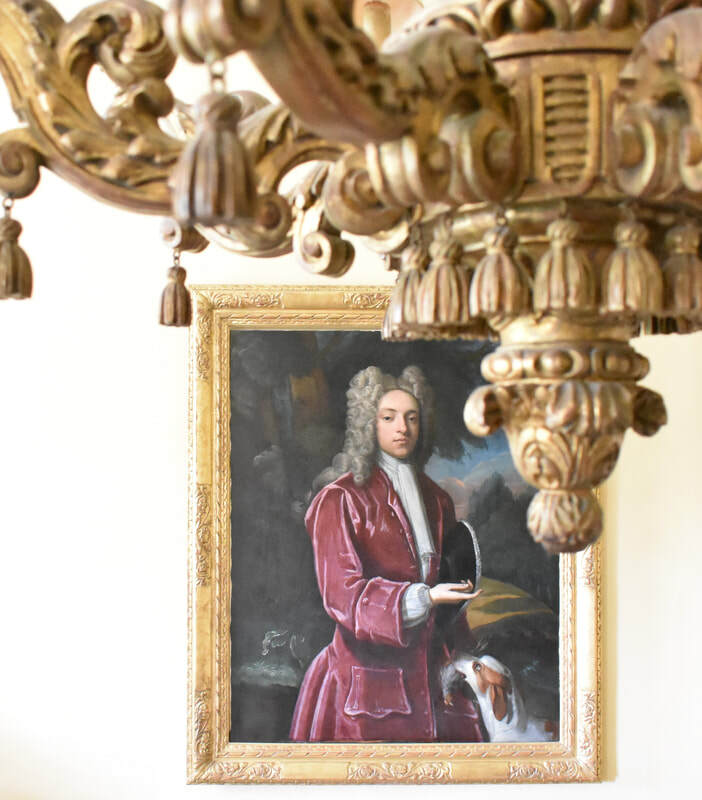 Worst bits: The maximalist period style decor can be a little busy on the eye for some. 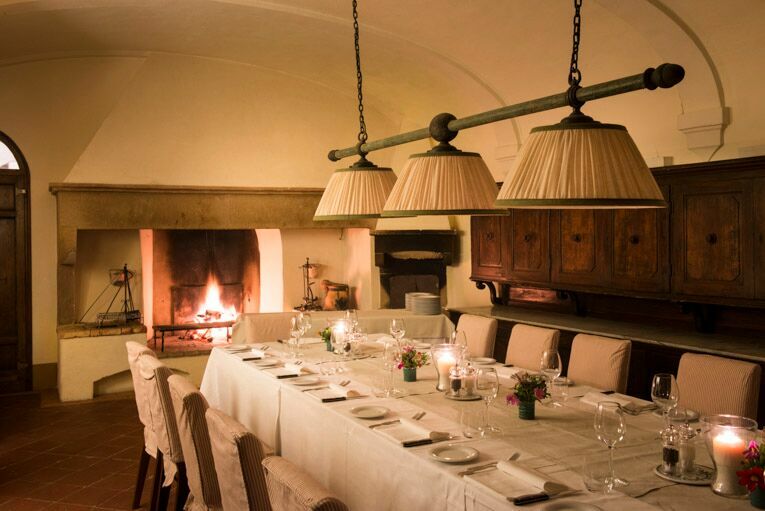 Most suited for: Couples looking for a luxury weekend with good food and a bit of pampering. 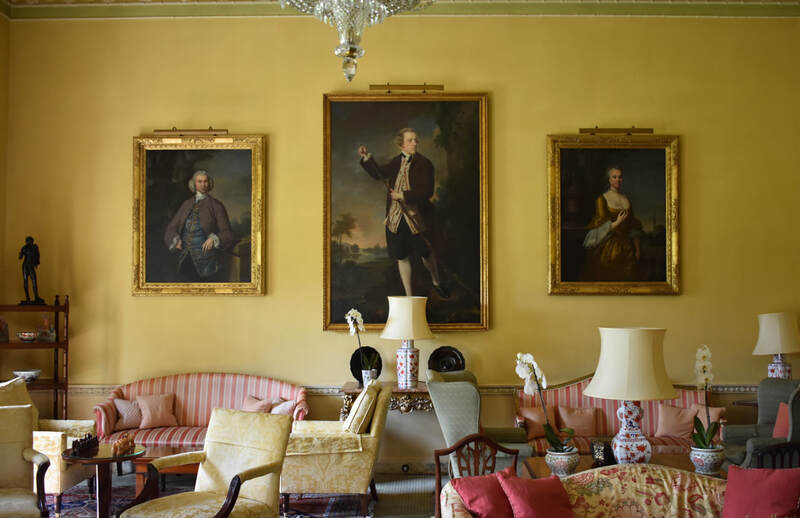 *During my visit I was hosted by the team at Middlethorpe Hall & Spa. All opinions are my own. 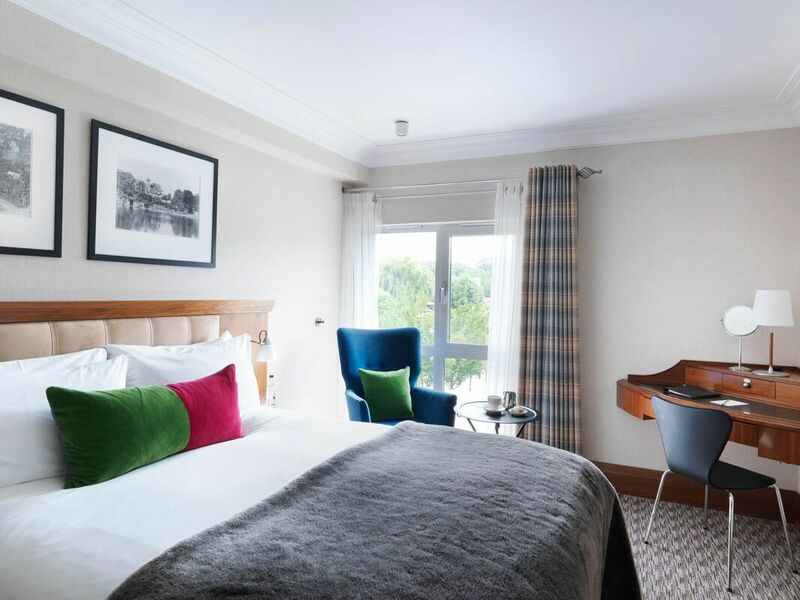 Photography courtesy of Middlethorpe Hotel & Spa. There’s no bad time to visit Prague, but truth be told this already magical city becomes utterly bewitching in the winter months. Romantic cobbled streets dusted with snow, warming buckets of rich goulash, hot spiced rum and not to mention the Gingerbread Museum, with the added bonus of being extremely kind on the post-Christmas purse strings, it’s the perfect new year getaway that won’t break the bank. 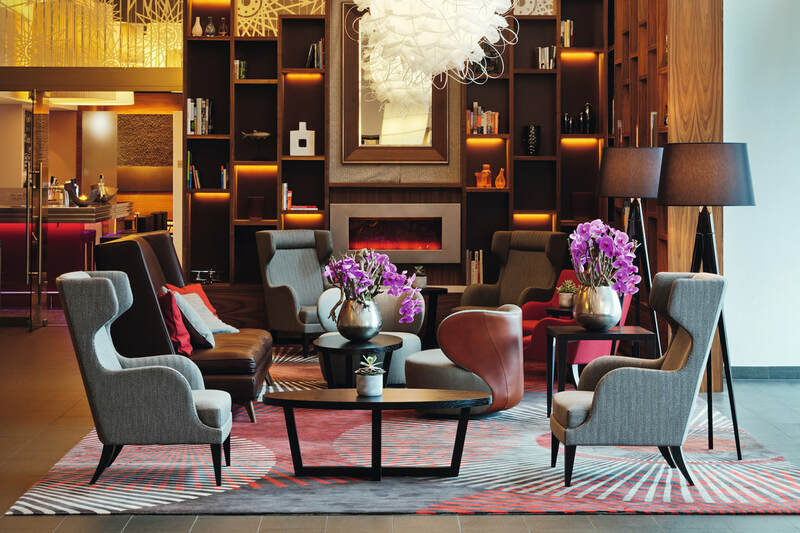 Located in the centre of the city, mere minutes away from the Old Town Square, BoHo Hotel Prague marries indulgent luxury with boutique comfort - the very definition of charm. It opened in 2015 in a former post office, but now it couldn’t be further from its industrial past. 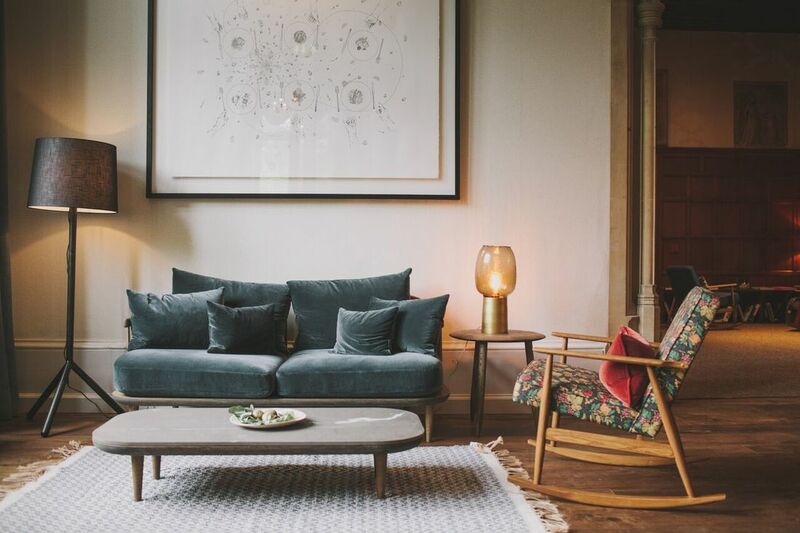 With carefully thought out interiors with a nod to Scandi-styling, it’s a design-lover’s dream. Tempting as it may have been to stay lounging in the lobby bar with the glass of champagne presented to us on arrival, a tour of the hotel showed us there was so much more than first meets the eye. The robes and slippers will inevitably come in handy for your venture to the basement Wellness Area. With a fitness and cardio area available to guests (helpful for working off that goulash…) and an accompanying spa area with hydro jet pool, sauna and steam room, we all too easily fell into a daily routine of a soothing post-wine hour, pre-dinner steam and snooze before heading out on the town. After a long day pounding the icy streets of Prague, it was a welcome escape that proved impossible to resist. We didn’t stick around to try dinner at the hotel; eating out in Prague is incredibly affordable and with literally dozens of fantastic restaurants within spitting distance of the Boho’s front door the temptation was too much. We particularly enjoyed the Restaurace Tiskarna, literally a three minute walk away; their beef broth was so delicious we went back the following night for more. 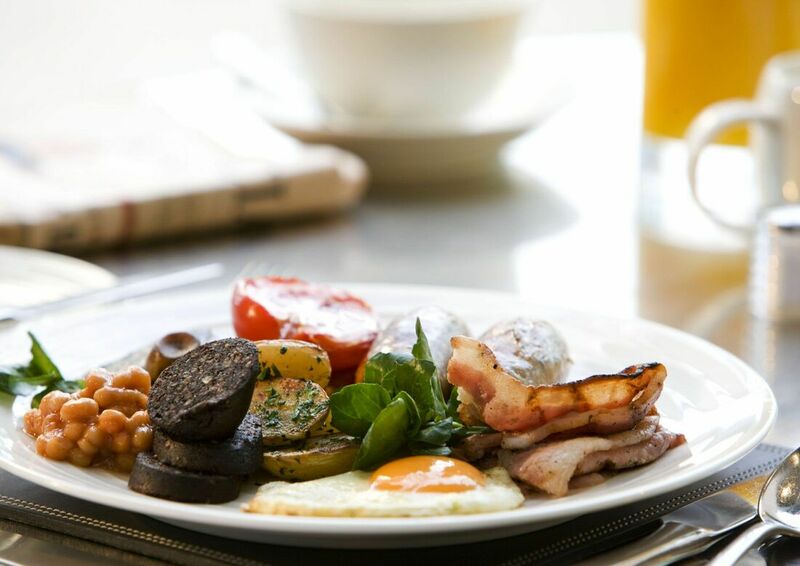 Where the Boho Hotel restaurant does excel, however, is the breakfast buffet. And what a buffet it is. Cereals, fresh honeycomb, a whole bakery of breads and pastries, ham and cheese sandwiches lined up ready for the toastie machine; I defy you not to overeat. Add to that the aforementioned mini croissants and pains au chocolate available all day in the library and it’s a recipe for a paunch. 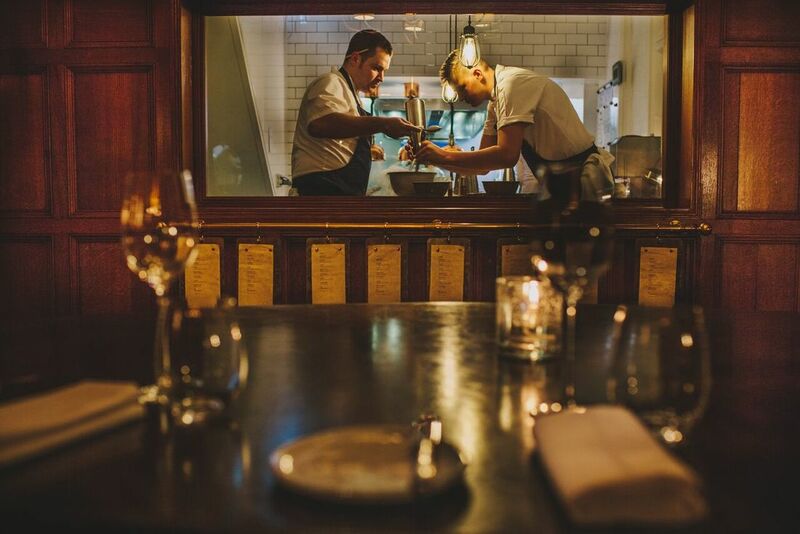 As if all of the above isn’t enough, add to the fact that the Boho’s staff make you feel like no request is too small and you have a recipe for a dream stay. From organising city tours to recommending bars and restaurants, offering an umbrella to stave off the rain and sending up an iron to rescue my dinner outfit, they were invaluable. 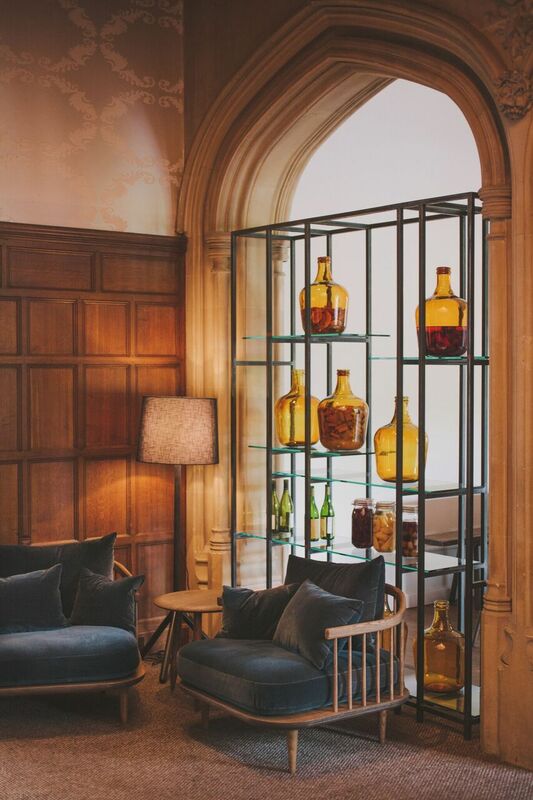 The Boho Hotel manages to perfectly encapsulate a luxury experience without the pretentious nature of some counterparts; as a member of Small Luxury Hotels of the World it’s no surprise it feels like a comforting, cosy home from home. 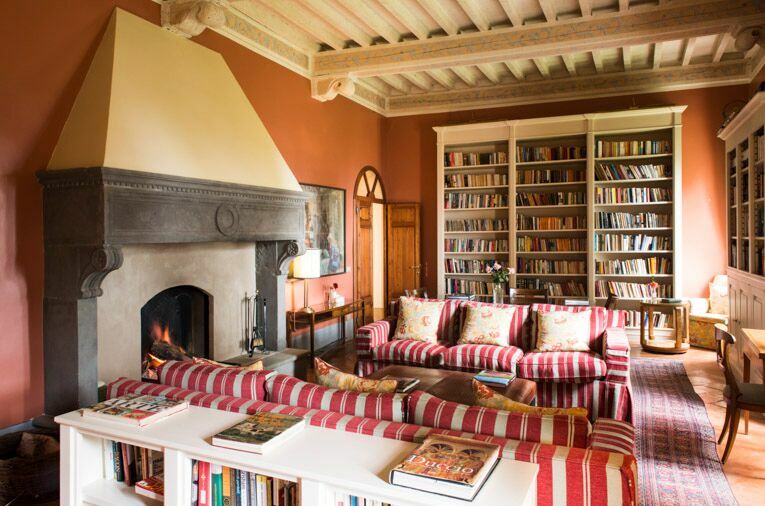 In fact, given a photo of their library is now on my Dream House Pinterest board, maybe one day it will be my home. Double rooms start from £175 per night. To book visit www.slh.com/hotels/boho-prague-hotel. 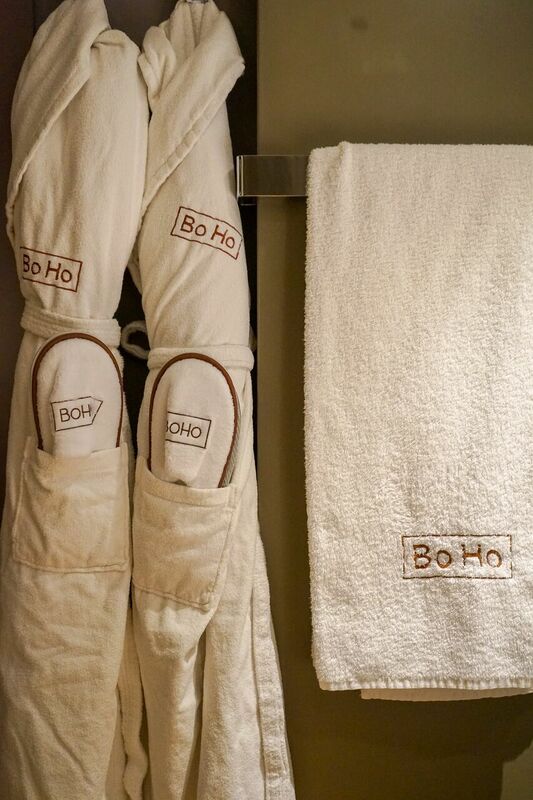 ​*During my stay I was hosted by the lovely team at the Boho Hotel. All opinions are my own. 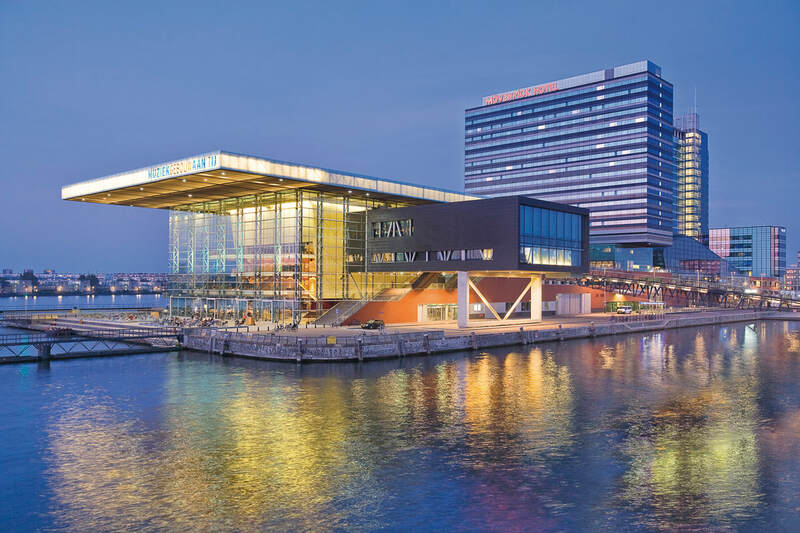 Copenhagen might be a logical choice for a weekend away during the endless hazy days of summer, but the winter months bring this pearl of Scandinavia alive with festivity, with plenty of entertainment on offer for the avid explorer, particularly one with a glutton’s palate. With cheap last-last-minute flights up for grabs, I found a 6am departure, returning the following evening, for £46 and thus dashed off for a whirlwind 36 hours to explore the Danish capital. Two pearls of wisdom if you only have a short time window; find yourself a hotel as central as possible and make sure it has bikes available to hire. 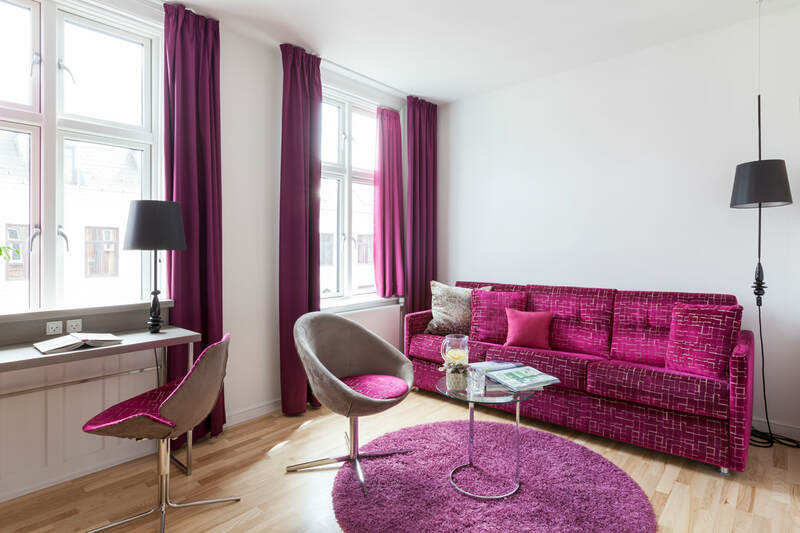 The Andersen Hotel, situated in the somewhat hipster meatpacking district of Vesterbro, ticks both of those boxes; mere moments from the city’s central station, we were in our room within an hour of leaving the plane. It’s easy to see why The Andersen is so popular, given the little extras that make for a special experience. 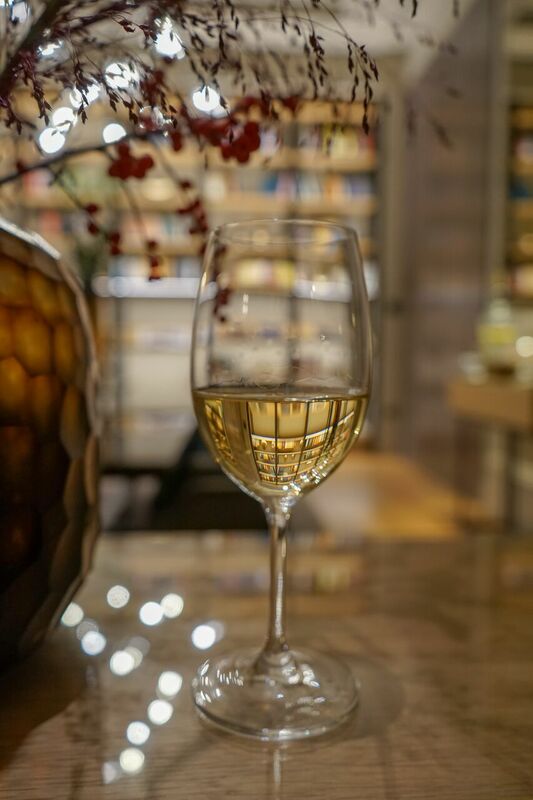 There’s a daily wine hour in the lobby lounge from 5pm, offering guests complimentary vino to enjoy over one of the threes chess tables or stacks of books and magazines available to peruse. A pillow menu is available should you so desire it, there’s a honesty bar downstairs if you fancy a help-yourself nightcap, every second month sees art exhibitions held in the lobby and they can even supply you with a yoga mat if you fancy taking a class at the local Studio Vesterbro; everything about it is carefully thought out to ensure the best experience, but one where you very much feel at home. 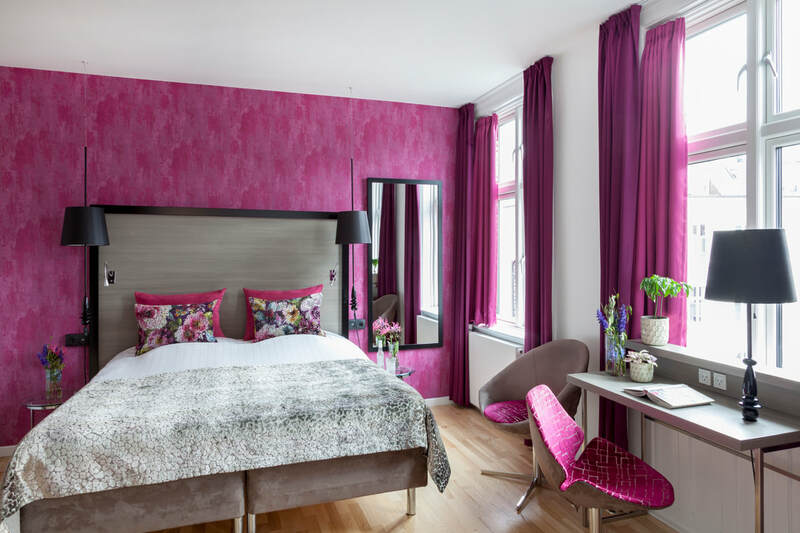 Having unveiled a new look earlier this year and won ‘Best Boutique Hotel’ at the Haute Grandeur Global Hotel Awards, the family-run independent boasts 69 rooms all uniquely decorated with wallpapers, fabrics and soft furnishing from Designers Guild in one of three striking colour schemes; vivid turquoise and lime, vibrant purple and striking fuchsia or calming blue and rich magenta. 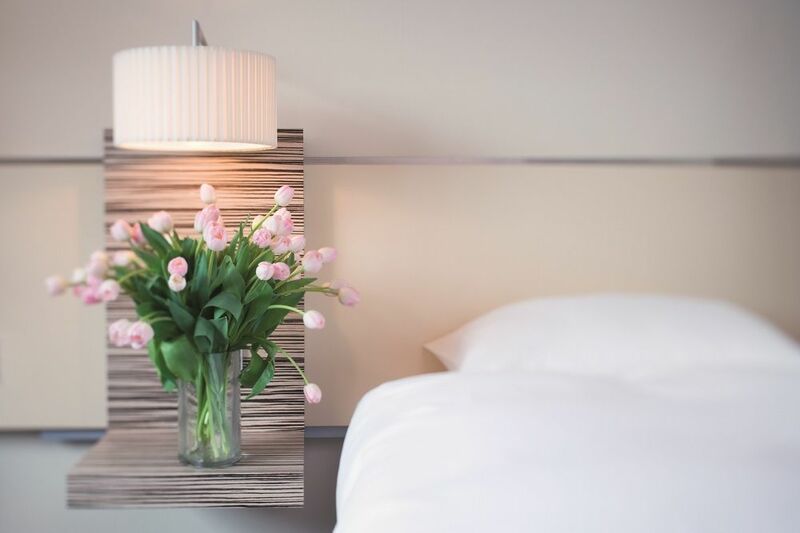 The focus is on design; in true Scandi style each aspect has been meticulously selected for maximum style, from the specially designed Frandsen lighting to the Philippe Starck bathrooms and beds from Better Bed Comfort. With four room sizes varying from the 13m square Cool to the Amazing Junior Suites - perfect if you’re travelling with family - each one comes with the little luxury of Molton Brown toiletries, a bathrobe and slippers and Andersen’s yellow rubber duck, to really make the most of your down time. 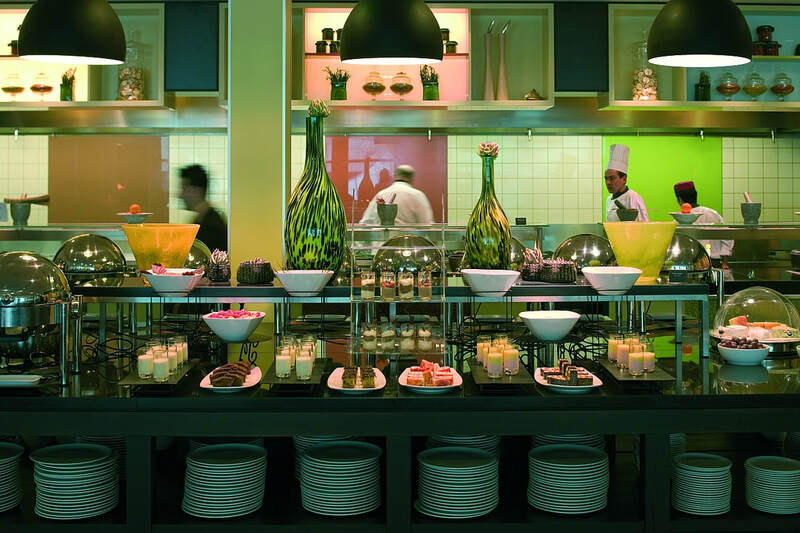 A simple buffet breakfast is served in the downstairs dining room and to be honest, given the absolute wealth of amazing food available throughout the city the fact that it’s a simple help-yourself affair is perfect. 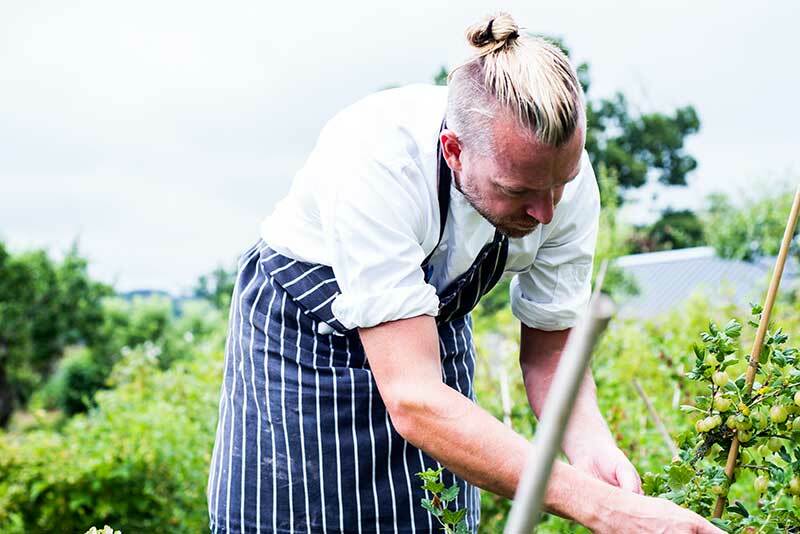 Choose from the typical Scandi spread of col meats, cheeses and breads, or tuck into cereal and pastries - it’s a great offering and all organic. 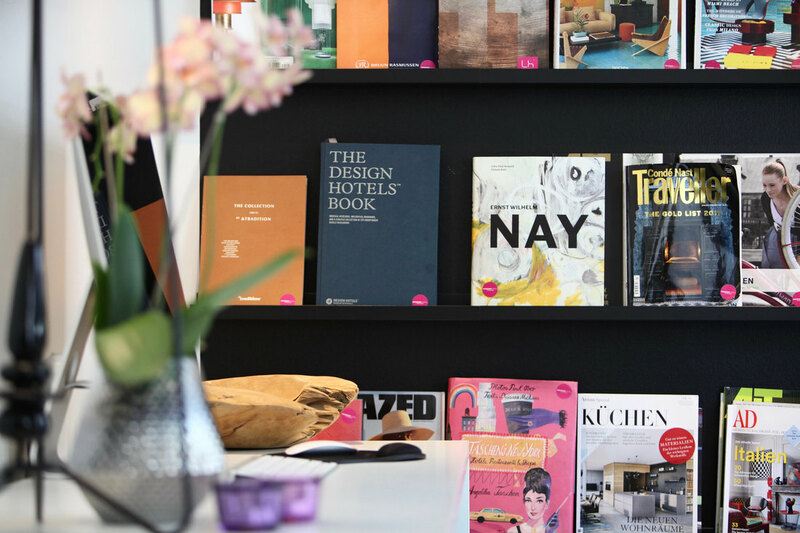 Copenhagen might be awash with stylish design-led hotels, but given the cosy convenience and invaluable proximity of The Andersen, it’s certainly one you need on your radar. 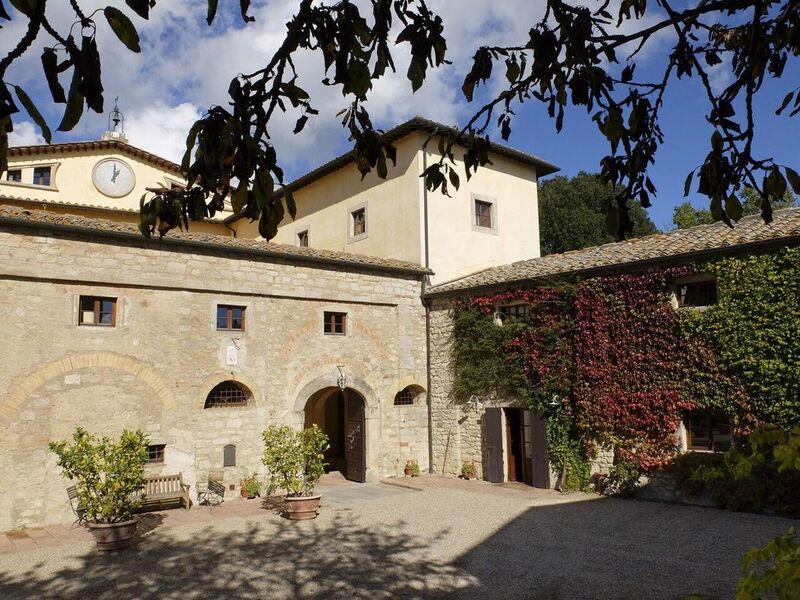 Rooms from DK1125 (around £135) per night. Best bits: So many. 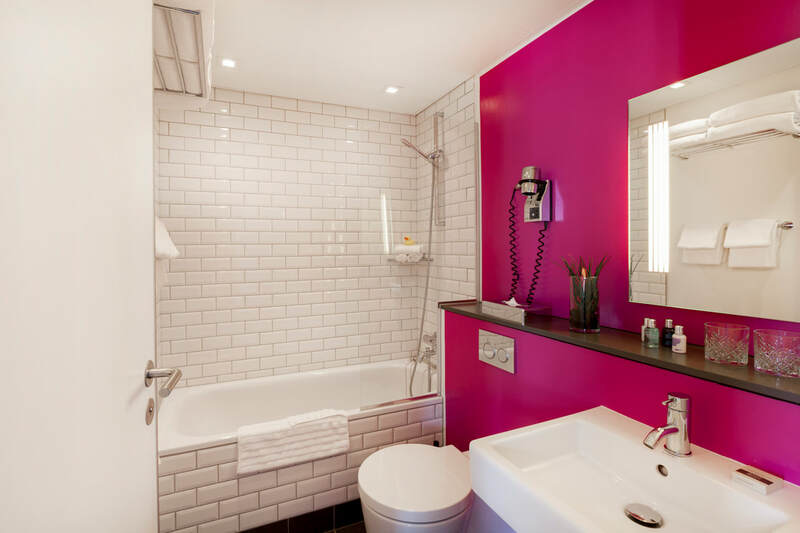 The proximity to the station, bike hire, wine hour and delicious Molton Brown toiletries all made the stay extra special. Worst bits: It’s really impossible to pick on anything we disliked in all honesty. 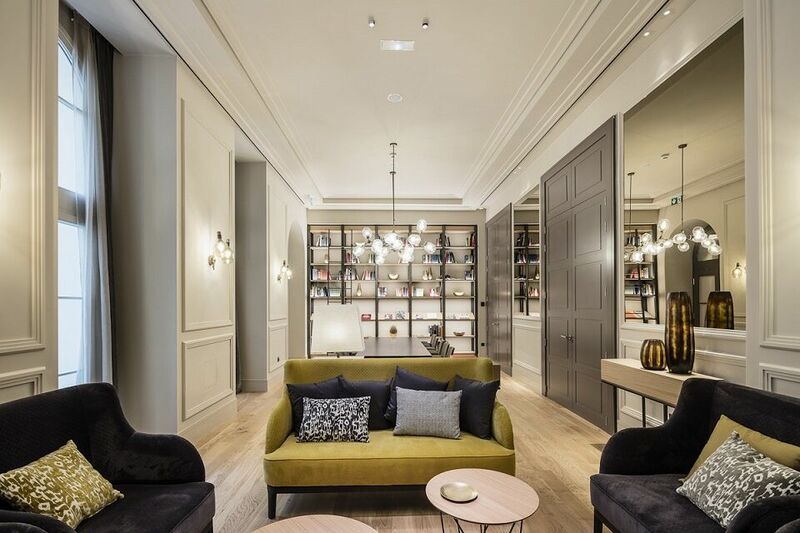 Most suited for: Time-starved mini breakers looking for a convenient city-centre option but still with a bit luxe. *During my stay I was hosted by the team at The Andersen Hotel. All opinions are my own. Photography courtesy of The Andersen Hotel.